Whether you have 1 location or 1000, Harmony is an easy and affordable path to engaging digital branding and background music. If you know how to use iTunes and a web browser, are basically halfway through the Harmony user manual. 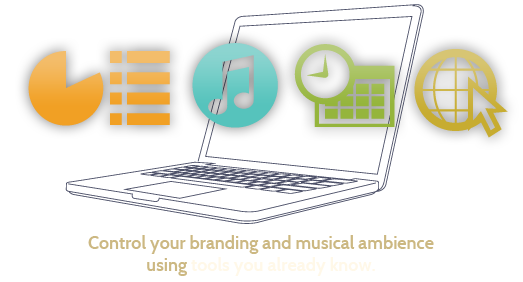 No canned music service knows your customers the way you do. Take control as easily as making a playlist for a family road trip. Web based tools designed to work like your favorite online calendar leave you free to concentrate on your message. How are our customers using Harmony? Artwork brings an air of class and sophistication to your business setting, but it represents a moment frozen in time that just might not be right for every part of your business day. Harmony can bring your artwork completely under your control. With a business operating on the cutting edge of customers' tastes, keeping the menu up to date can be the liability of an outdated sheet of paper on a countertop or the opportunity of a vivid, fluid video presentation that is 100% controlled by you. The screens in your office are an opportunity to reach out to your patients. Show them the benefits of proper dental hygiene or proper diet and exercise with full motion video while they wait in your waiting room. Highlight the benefits of an elective service they might not have considered. Walk them through the steps of specific procedures with custom video presentations in your office. Whether your pricing changes with the seasons or your entire product line evolves over time with the shifting tastes of your customers, a sandwich board full of plastic letters cannot hope to keep up with all your business has to offer as well as a digitally controlled Harmony menu. The larger and more successful your enterprise becomes, the more challenging it can be to keep your entire corporate community in the loop and on the same page. 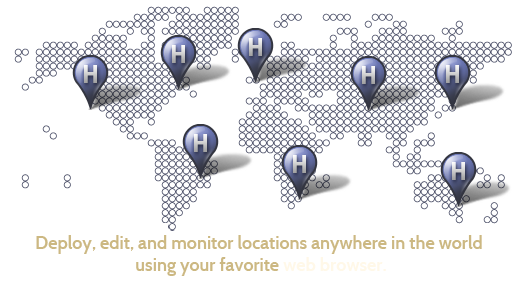 But every cafeteria, breakroom, elevator and hallway provides a venue for you to get them back in the loop. You've thought of every aspect of your brand and message from the color of your logo to the dress code of your employees. If your price list is just a photocopy on the wall, it is not really under the same level of control, but it can be.